Two Boko Haram commanders and deputies to Abubakar Shekau, a factional leader of the terror group, were killed in successful military operations at Alafa in Borno on Sallah day, an official has said. The Army spokesman, Sani Usman, said in a statement on Tuesday that the deputies that were killed in the onslaught included Afdu Kawuri and Abubakar Banishek. “This is in addition to Ba’Abba Ibrahim and two other Boko Haram commanders that died after sustaining injuries during their last ambush at Magumeri Local Government Area of Borno,” he added. He said five other key leaders of the group and close associates of Mr. Shekau were neutralised in joint bombardment in August. Mr. Usman described Mr. Shekau’s latest video in which he taunted the army as an act of desperation and lies by remnants of the insurgents to instil unnecessary fear in law abiding citizens. In the video, the group denied the killing of its five key commanders and claimed it had wonderful Sallah celebration in the Sambisa forest. “It is also instructive to note that Shekau is scared and rattled by the 40-day ultimatum issued by the Chief of Army Staff to Operation LAFIYA DOLE to fish him out,” Mr. Usman, a brigadier general, said. 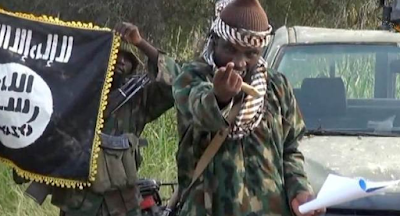 » Boko Haram Leader Abubakar Shekau Is Dead!